Sandra Fluet-Thomas is a professional artist living in Cleveland, South Carolina. Originally from Augusta Georgia, Sandra relocated to the Upstate of South Carolina in 1987.After attending several watercolor workshops followed by a series of intense private art study, Sandra began doing commission portraits and landscapes. Currently Sandra teaches drawing for the FULIR program at Furman University in Greenville, South Carolina. She also continues to do commission portrait work and illustration art. Her mediums include graphite, watercolor, acrylics, pastels and pen & ink. Help us preserve the integrity of this historical site in Georgia. If you are interested in purchasing any of the above items, please go to our Contact Us page, fill out the form and someone will get back in touch with you as soon as possible. Thank you. 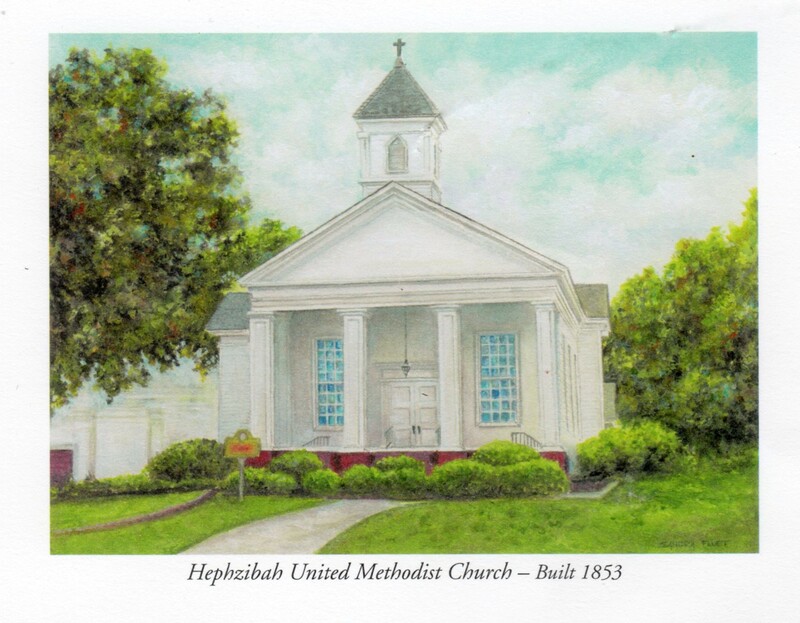 Make your donations to Hephzibah UMC.